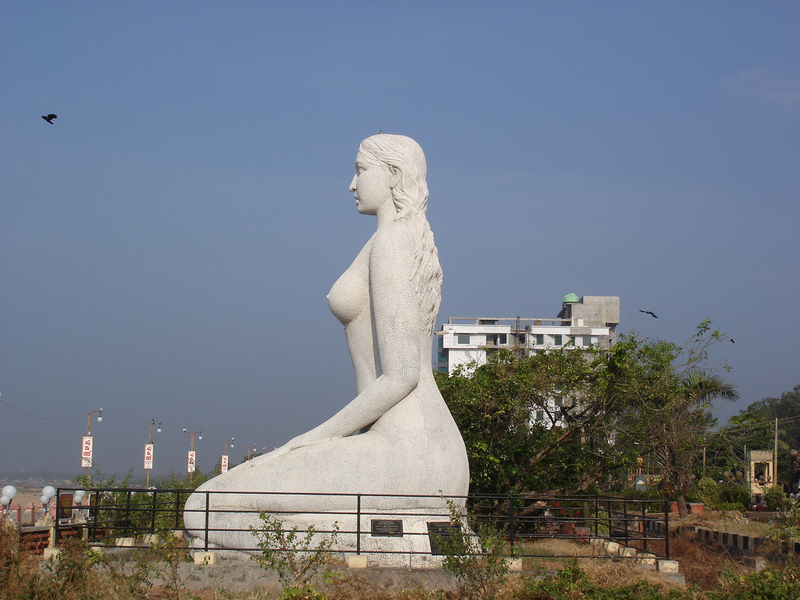 It is located only about 40 miles from the giant mermaid statue on Shankumugham Beach, and is most likely the second-largest mermaid sculpture in the world. It was planned in 2000 and the sculptor Shanthanu was commissioned to create it, commencing in 2003. Citing a lack of funds Shanthanu stopped work, and the statue was completed in 2005 by Vijayan V. Chavara, and unveiled on August 2, 2005.